The prelude from Bach’s first unaccompanied cello suite is one of my long time favorite pieces. Pablo Casals , the great cellist, discovered an edition of the suites in a thrift shop when he was 13 (they were considered to be “studies,” not concert pieces, at that time.) He realized their quality and took many years learning them before he felt ready to perform them. 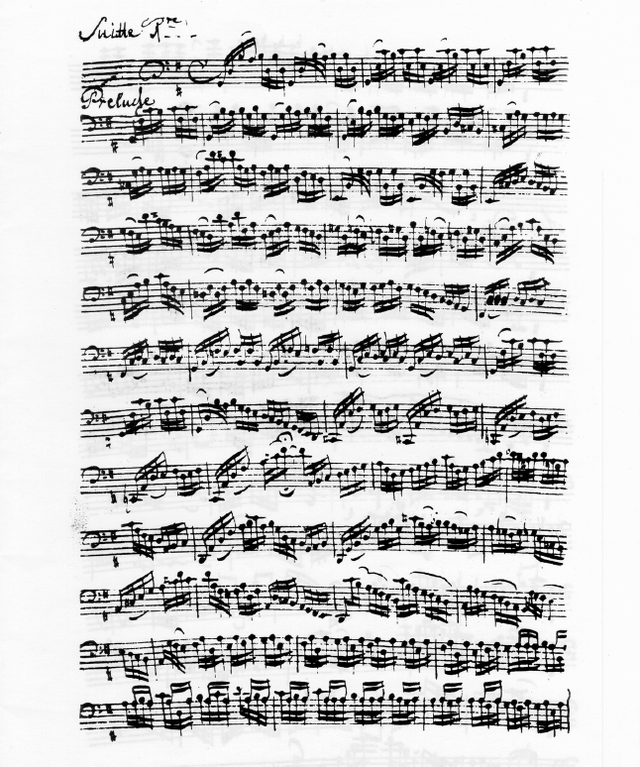 This prelude is the first movement of the first suite, and is the most widely recognized piece in all the suites. Is it’s popularity more because it’s the first, or is it more because it’s simply a great piece? We will never know. Here’s a “contemplative” interpretation of the prelude. It’s more in the spirit of an “unmeasured prelude,” in which I’m following the shape of each phrase and allowing space for the harmonies to surprise and affect my playing. Many people have told me what a bargain these courses are, as there is more info included in here than I’d be able to provide in many hour-long lessons, one of which is considerably more expensive than the price of the course. The cost of the course is $20. There are several sample lessons that you can view by clicking on the blue links in the lesson list below. I also appreciate it a great deal when you spread word about this course or others on this site, and one great way to do it is to use the share buttons below. A simple Facebook like can go a long way. Thanks!